In any career, in your home-life, in day-to-day interactions — harmony hangs in the balance of effective communication. It is the basis that our societies, cultures, economies and everything in between are built upon. Whether you envision yourself communicating to the masses or in small group settings, through a video camera lens, a pen and paper, or from behind a podium, William Woods University communication degree programs will prepare you for your future. Get a Bachelor of Science in Communication and concentrate in digital production, leadership, media journalism or public relations. Or pursue a communication minor and make yourself more marketable in the job search by adding the strength of great communication skills to your degree. 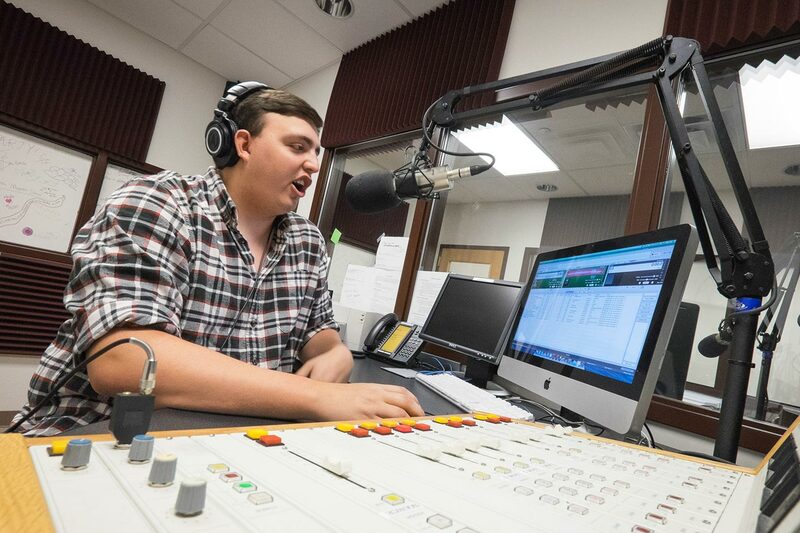 Join our team at the campus radio station, 94.9 FM The Pulse, where students can be live DJs, produce content, play music, and assist in managing the different aspects of the station. Get involved in a variety of student organizations on campus, including the Forensic (Speech and Debate) Team, Reel Fanatics Film Club, Served up Crispy Improvisation Team, and Lambda Pi Eta Communication Honor Society. Write, produce, direct, act, and more in your own film. Then watch it at our annual film festival in the Fulton movie theatre. Use our alumni network and various connections to gain real-world internship experience. Students majoring in communication have many opportunities to pursue Master's degrees in Communication, Organizational Communication, Rhetoric & Critical/Cultural Studies, Mass (Media) Communication, Film Studies, and Leadership Communication, among others. Graduating from William Woods University with a degree in communications, I was excited and confident that I was prepared to enter the workforce. The internships, hands-on class projects and a flourishing campus community at William Woods, encompassed with a liberal arts base, helped me develop the skills I use every day in my job and personal life. My job would not be possible without the education I received at The Woods. Through one-on-one teaching and small classes, I was able to develop in-depth skills, work methods and relationships that I incorporated into my internship, then my job at St. Louis production company and, later, into starting and running my own business. Explore the many realms of communication — digital production, leadership, journalism or public relations — and prepare for success in any career you choose.